Unless your home has an attractive brick or stone exterior, you have probably considered adding or replacing siding at some point. There are many natural and artificial options available. One popular natural option is cedar, although there are several things to consider before investing in this material. Being a natural wood product, cedar has many attractive features as well as drawbacks. The following are some of the major considerations involved in choosing cedar siding. Cedar is highly attractive when stained and some varieties, such as white cedar, become increasingly aesthetically pleasing over time. It may be cut into numerous styles, such as beveled or traditional shingles or shakes. It maintains a timeless appeal that most other forms of siding attempt to emulate. This visual appeal is complimented by superior sound and thermal insulation. Cedar is completely biodegradable, making it an excellent option for green homes. It may easily be painted and stained to acquire the look you desire. It is also suitable for use with almost any architectural style. Unlike most alternatives, cedar is easy to install, making it an excellent DIY project. Properly maintained, cedar siding may last as long as 75 years and may be pre-stained to add additional weatherproofing. As is the case with other types of wood siding, cedar is flammable unless specially treated. It requires regular maintenance in the form of repainting or re-staining every three to five years. Despite a higher resistance, cedar is still more prone to rot, woodpeckers, and insect damage than artificial alternatives. It reacts to iron, making it important to avoid using iron nails when installing. Finally, the cost may be prohibitive if you are on a budget. While the ultimate decision of whether to use cedar siding is a personal one, it is important to understand how it fares against artificial alternatives. Man-made materials are often cheaper, yet not as bio-degradable and may have other drawbacks. Certain chemicals in the fibers make cedar more resistant to termites and other insects than most other woods. Another advantage over other forms of wood is that cedar is one of the fastest growing trees, making it perhaps the fastest renewable material after bamboo. It does not easily warp or swell when exposed to moisture, although it is prone to discoloration and mildew. Fiber cement siding is a blend of sand, cement, and cellulose fibers pressed to create the look of traditional wood planks or shakes. These are often pre-colored, although they may be painted after installation. While the wood grain is more uniform than actual wood, the appearance is so close that it has been approved for use in historic restoration projects. Unfortunately, fiber cement is only able to replicate painted woods and is unable to match stained or naturally weathered wood siding. This is especially true compared to white cedar, which achieves an attractive silvery patina if left untreated. Cost comparisons place cedar at a much higher cost, both for materials and maintenance. Fiber cement runs an average of $3 to $4 per square foot, while cedar costs $5 to $7. It also requires little maintenance, saving hundreds of dollars over the lifetime cost of cedar. Unlike cedar, fiber cement is certified naturally fire-resistant and does not need any special treatment. Perhaps the most common choice in artificial siding, vinyl has its own drawbacks. For example, while at first vinyl seems cheaper, the end cost for installation is very similar to cedar. It is also prone to cracking and buckling over time, requiring replacement. It also fails to mimic wood adequately, making it simultaneously less attractive than other materials and very homogenized if used extensively in a neighborhood. 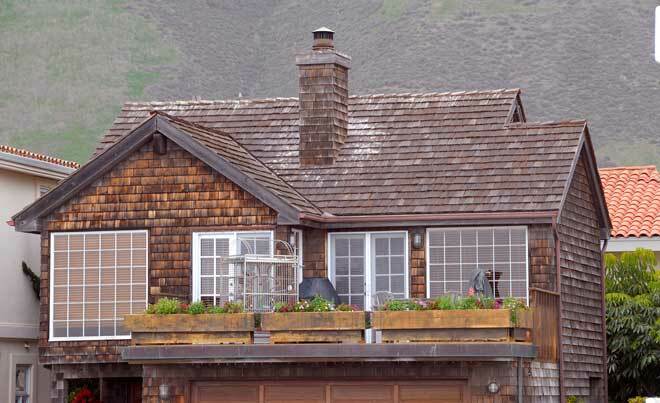 In cooler climates, vinyl may outlast cedar siding and requires only the occasional scrubbing to maintain. It is difficult to paint, although you may purchase it in a variety of colors. Another advantage is that individual panels may be replaced without the need for removing neighboring panels. Similar to vinyl in appearance, aluminum siding is more cost-effective than cedar. Panels generally range in price from $1.50 to $2.50 and are available in a variety of colors. Unlike cedar and other natural siding options, aluminum is not prone to moisture or insect damage. It is fastened securely, making it a good choice in locations with high winds. The primary drawbacks to aluminum are that it dents easily and provides poor insulation against water and heat loss. 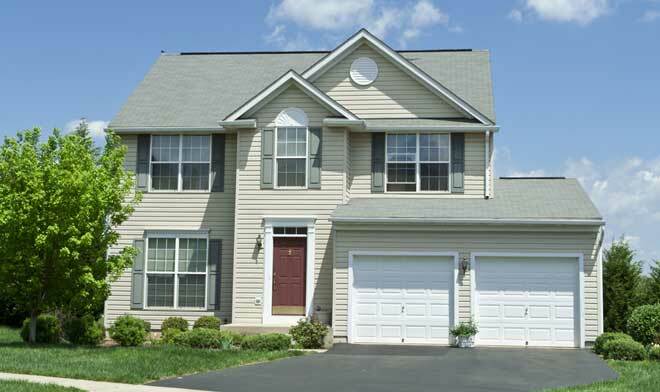 Redbeacon offers a quick reference to the pros and cons of various siding options.